Eye exercises have always been considered to be beneficial in some way for vision and eye health. 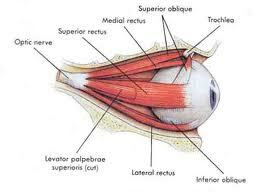 After all, there are many muscles around and within the eyeball, all of which have important functions. 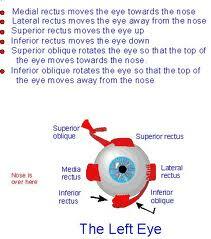 The main muscle groups for the eye are the ciliary muscles, iris sphincter muscles and extraocular muscles. The ciliary muscles are involved in changing the shape of the lens, which allows you to focus light on your retina to be able to see. When you look at distance objects, your lens becomes more stretched out and less convex. When you look at near objects, such as for reading, your lens becomes thicker and more convex. Without the ciliary muscles, all this would not be possible. 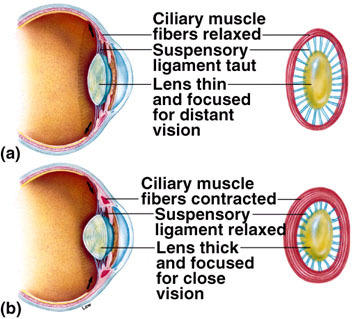 The ciliary muscles are able to change the shape of the natural lens due to their attachment to the lens via the suspensory ligaments and zonules. As you grow older, your ciliary muscles become weaker and the lens becomes more rigid and less able to change shape. As a result, your ability to read and see close up becomes diminished. This is called presbyopia. To be able to read clearly, you will need an additional focusing lens - this is usually in the form of reading glasses. 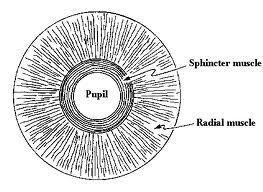 The iris sphincter muscles control the size of the pupil, and hence the amount of light entering the eyeball. Contraction of the iris sphincter muscles causes the pupil to constrict, while contraction of the radial muscles results in pupil dilation. This is important when trying to see in different lighting conditions. The six extraocular muscles - the superior rectus, inferior rectus, lateral rectus, medial rectus, superior oblique and inferior oblique muscles - allow you to move your gaze around. More amazingly, both sets of extraocular muscles work together to enable you to have depth perception. You can easily test this. The next time you pour a cup of tea, try doing it with one eye closed. You'll realise how important depth perception is in your day-to-day lifestyle! The six extraocular muscles are attached to the sclera (wall of the eyeball) and work together to move the eye. The muscles for both eyes in turn also work together to ensure that your gaze is directed at the object that you want to look at. Weakness in any one of these muscles is likely to cause you to experience double vision (also called diplopia). Eye exercises, such as the moving your eyes to their extreme gaze positions and shifting your gaze from distance to near and back again, may help to improve and maintain muscle function and coordination. One suggested eye exercise is the eye swinging exercise. Move your eyes to the extremes of each of the cardinal positions of gaze (up, down, left, right, up & right, up & left, down & right, down & left), and then hold at the position for 10 seconds before changing positions. Repeat at least 10 times daily. Another form of eye exercise is the eye rolling exercise where you perform circular movements of the eyeball: rotate the eyeball clockwise 10 times, and then anti-clockwise 10 times. Repeat these sets of clockwise and anti-clockwise movements at least 10 times every day. Doing these eye exercises may help to improve circulation to the eyes and also improve the way the extraocular muscles work together to achieve binocular vision. If you experience double vision in any of the positions of gaze, this indicates that your eye health is compromised either by a weakness of one of the extraocular muscles (such as in a stroke) or a mechanical restriction of muscle action (such as in thyroid eye disease). 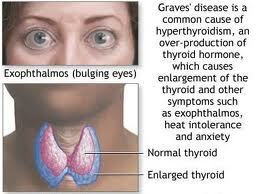 Thyroid eye disease is a manifestation of Graves' Disease, where the thyroid gland overproduces the hormone thyroxine. This high levels of circulating thyroxine causes abnormal deposition of material in and around the muscles of the eye. The end result is abnormal enlargement and scarring of the eye muscles, thereby hindering the ability of the eyeball to move freely. Maintaining eye health does not only mean maintaining the ability to see clearly at different positions of gaze. It also means maintaining the ability to see clearly at far and near distances (also called accommodation). Shifting your gaze from distance to near and back again is another form of eye exercise which improves your accommodative effort and depth of focus (eye focusing exercise). To perform the eye focusing exercise, hold an object out in front of you, and focus on the detail on the object. A pen with markings on it would be ideal. Slowly bring the object towards you. Bring it as close as possible, until your eye muscles feel the strain and to the point where you just start to see 2 images of the said object. At this end point, you have reached your accommodative limit. Keep your gaze at the accommodative limit for 10 seconds, and then slowly withdraw the object back towards arm's length. Repeat this exercise at least 10 times daily. 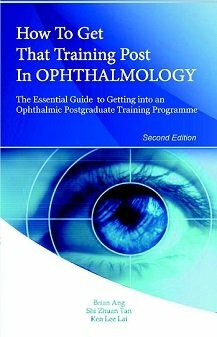 Orthoptic eye exercises incorporate these principles for treatment of eye movement disorders such as convergence insufficiency. Note that while the Bates method also promotes eye exercises, there is no clinical evidence to demonstrate that it can cure ocular diseases. Convergence insufficiency occurs when the extraocular muscles of the eye are unable to turn the eyes sufficiently inward when looking at near objects. This may result in headache, double vision, poor concentration, sensation of motion sickness and reduced attention span. While there has been a lot of focus on eye exercise, you should also remember that relaxation of the eyes is also important. Do this by looking into the distance or close your eyes at least 5 minutes every half hour to hour of concentrated near work, such as when reading or staring at a computer screen. If you choose to look at an object in the far distance, choose an object green in colour, and then try to make out the fine details in that object. This allows the ciliary muscles and iris sphincter muscles to relax and reduce any eye strain. Overwork and spasm of these muscles can cause convergence spasm. When convergence spasm occurs, the muscles are unable to relax to allow distance vision, resulting in a headache and sometimes double vision and dizziness. Regular relaxation of the eyes therefore helps to prevent this from occurring. The added benefit of intermittent relaxation of the eyes is that you can also refreshing your mind at the same time, thereby increasing your alertness and concentration levels when you are working.